Why is my Dentist asking to take an X-Ray? Do I need it? The decision about whether to take a dental X-Ray is answered by weighing up the risks versus the benefits. If you gain good amount of information from it, which enables the Dentist to diagnose and treat the tooth properly then it’s worth taking an X-Ray. Why are my gums bleeding, should they be bleeding? No, bleeding gums can be a sign of gingivitis or gum disease. You should make an appointment to visit us so that we can assess your particular situation. One thing is for sure – healthy gums don’t bleed! Medical studies have shown the link between gum disease, Diabetes and Heart problems. If your gums are bleeding after you have brushed your teeth you are showing the early stages of gum disease. Plaque that harbours bacteria can get in under the gum line of your tooth and can start weakening and softening your gums. Because it’s under the gum line you can’t always see it and unlike tooth decay gum disease doesn’t usually hurt or cause pain. When you brush, the infected gums are irritated to the point that the weak membranes are broken causing slight bleeding. Pain is not always associated with bleeding gums . The good news is that we can treat it adequately and bring your mouth back to its normal healthy condition. Using a manual toothbrush with the correct technique can be just as good as the electric version. In reality most people, despite their best efforts, do not brush with the perfect technique needed for manual brushing. Will teeth whitening harm my teeth and gums? No, teeth whitening has been around for many years now and the research carried out has proven that it is safe for your teeth and gums as long as the procedure is carried out as directed. 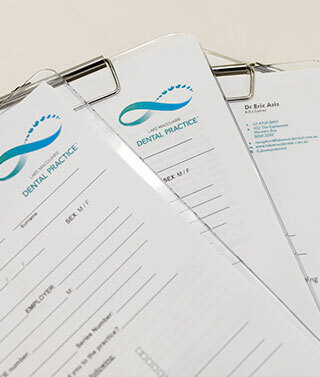 However your teeth must be healthy first before we carry out any whitening procedures. If you are suffering from a persistent tooth ache you should schedule an appointment with us as soon as possible, in the meantime make sure your teeth are clean by regular brushing and flossing between your teeth to remove any leftover food particles. Anyone playing sport or training can benefit from wearing a custom made, correctly fitted mouthguard to protect teeth against injury. Over the counter mouth guards do not offer the snug, comfortable fit that a custom mouthguard can nor can they offer an adequate level of protection. Teeth are here to last you a lifetime they need proper protection. How often should I change my toothbrush and why? Your average toothbrush lasts about 2-3 months. A good way to remember to change your toothbrush is to change it with the change of seasons. After all the brushing it does your tooth brush will lose its effectiveness in getting into all those tricky corners around your teeth as the bristles breakdown. The other reason to change them regularly is that they are a breeding ground for germs, fungus and bacteria which after a while can build up to significant levels. They can also spread cold and flu viruses through families when stored together, infecting adjacent toothbrushes. Toothbrushes also harbour the bacteria that cause cold sores and ulcers. If you are susceptible to ulcers and cold sores you should also change your toothbrush more regularly to avoid re-infecting other parts of the mouth and possibly other members of the family. After using a toothbrush, rinse it well under running water and store it in an upright position allowing it to dry out. Try and keep your toothbrush from touching others when it is stored. When should my child begin to see the dentist? Dental visits commence at 12 months as this is the opportunity we have to detect early signs of nursing decay and assist with the prevention of these problems. Children who have regular check ups and are comfortable with visiting the dentist have fewer dental problems. During the check up, we will assess your child’s risk of dental problems and clean your child’s teeth if necessary. We will advise you of any treatment, if it is needed. Sugar is the main cause of decay and it is found in many of the foods we eat and drink either naturally or as an additive. Poor Oral Hygiene as well as weak tooth structure can also be factors in tooth decay. Bacteria that have settled on a tooth feed on sugar. They multiply themselves so that there are even more of them, the bad news is when bacteria and sugar get together a chemical reaction occurs that produces acid which eats away at the enamel of the tooth. The more sugar we eat results in more bacteria which produces more acid which increases the chance of decay. Fluoride helps strengthen tooth enamel making it harder for the acid to eat its way into the tooth but once the decay process has started it accelerates at a rapid rate. After eating through the enamel the decay then attacks the softer dentine. If left untreated, the decay will consume the tooth eating its way further down to the nerve, ouch! It is therefore important to try and limit the amount of sweet foods and drink that we consume and to brush our teeth shortly after every meal – including lunch. Wisdom Teeth – who needs them? Our third molar teeth or wisdom teeth, as they are commonly known, usually erupt between the ages of 16 and 26 years of age. Back in the old days when we used to have much coarser diets, our back teeth would wear away leaving room for the wisdom teeth to come through. In modern times, with diets that are less coarse, very few people actually have enough room for their wisdom teeth to come through. Some people believe that if wisdom teeth don’t erupt, it’s all right to leave them there. If you can’t see them and they don’t hurt why worry about them. One of the main problems concerning wisdom teeth is that they can become impacted – that is they only partially erupt or they get trapped or stuck in the jaw. Most likely you will already be in some discomfort with your tooth which has led you to make an appointment, hopefully this will be the last of that sort of pain. 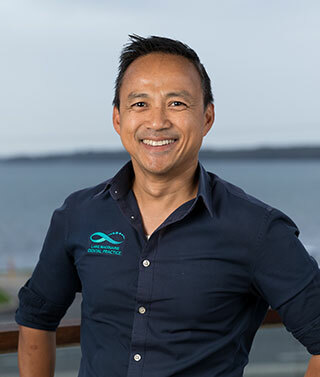 The local anaesthetic (needle) may cause some discomfort but the rest of the root canal treatment is relatively pain free, some of our patients have been to known to take a small nap during treatment. Chloe Crampton is a dental hygienist who specializes in scaling and polishing teeth and providing advice on oral hygiene. She has a passion for preventative treatment and ensuring your dental experience is as pleasant as can be. 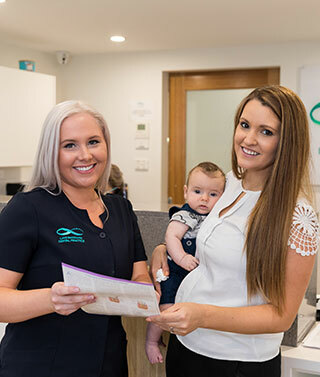 Chloe’s career in the dental world began in 2006 where she worked as an assistant in both country Taree and then a private practice in North Sydney. She soon decided to further her skills and knowledge by studying a Bachelor of Oral Health at Newcastle University. 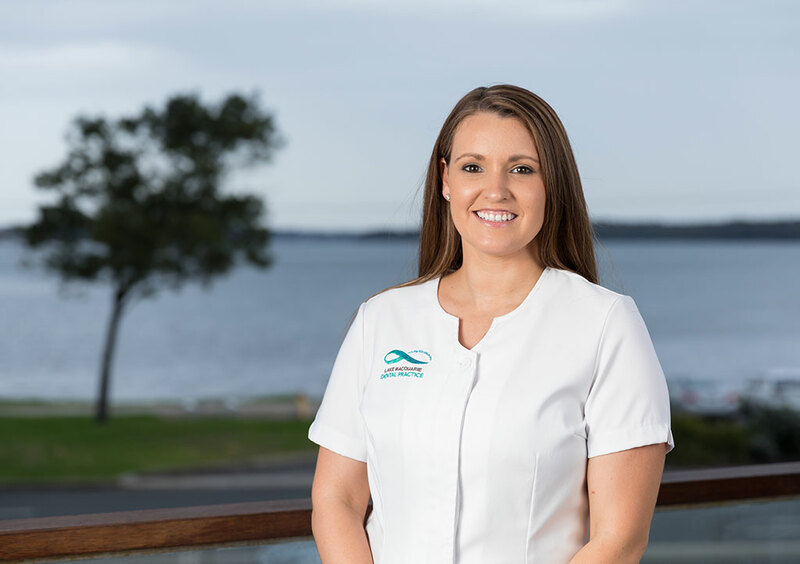 Chloe has been working at Lake Macquarie Dental Practice since it opened in 2015 at Warners Bay and has also been working at a local orthodontic practice since 2009. Chloe loves all things travel, design, cafe culture and spending time with family and friends. She started a family in 2016 and now has 2 young boys. She loves building relationships with her patients and helping them gain and maintain good oral health.